Evo 7 8 9 6870 V Band Forward-Facing Turbo Kit Evo 7 8 9 6870 V Band Forward-Facing Turbo Kit | STM Tuned Inc.
• Please review everything very carefully and feel free to give us a call if you need any help! 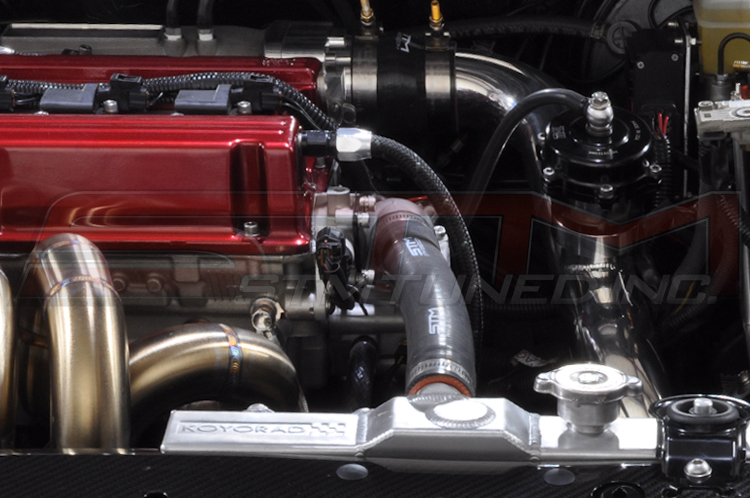 If you're looking for the baddest turbo kit out there, this is it! 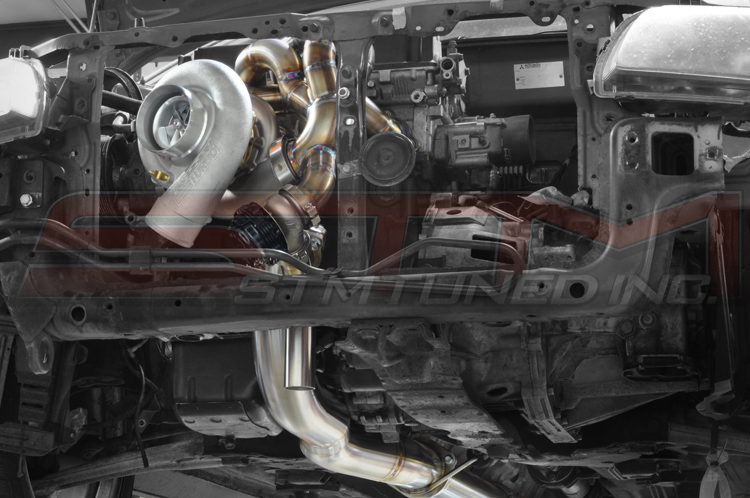 The new STM 6870 V-Band Forward-Facing Turbo Kit is compatible with all Evo 7/8/9 models and places the turbo right in the front of the bumper for the whole world to gawk at and massive fresh-air performance gains. The placement even allows for an air filter to be run on the streets. 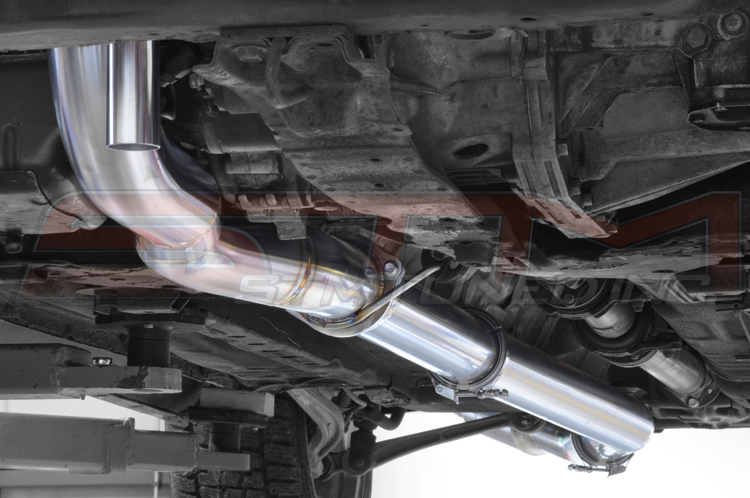 You can purchase the kit with just the downpipe and fabricate your own exhaust solution - this downpipe does not go to a standard location and will not work with any other exhaust systems. 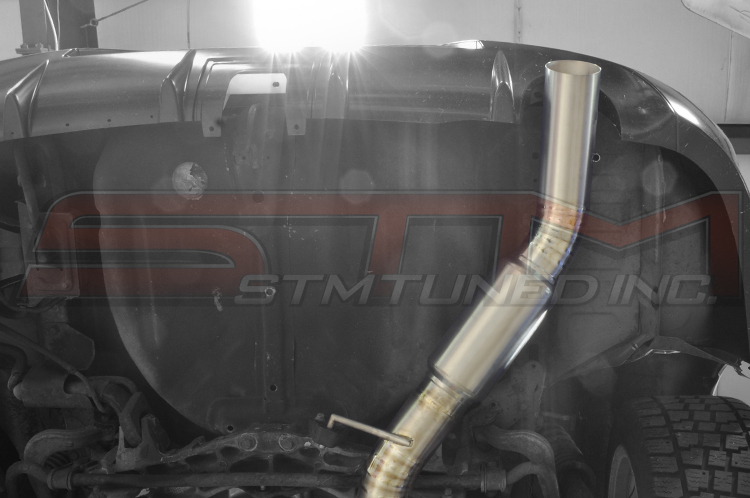 You can purchase the entire kit WITH the matching STM 3.5" Titanium V-Band Exhaust. It is designed for a JDM Evo IX rear bumper - it will not fit properly with a UDSM bumper. Please do not try to install this on a USDM or JDM 7 bumper. You will need a half-sized radiator, we offer our STM Kit in the purchase menu above if you don't already have one. This turbo kit will allow for an air filter, so if your racing class requires a filter, you can run one. You must remove your air conditioning system. This kit will clear the power steering pump. This kit will clear the stock A/C compressor, and can work with with a different condenser and custom lines. 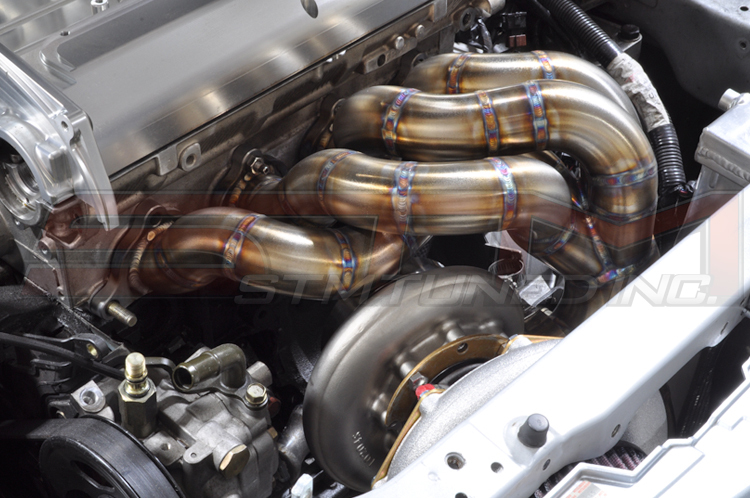 We now offer a matching 3.5" V-Band Titanium Exhaust for this turbo kit! 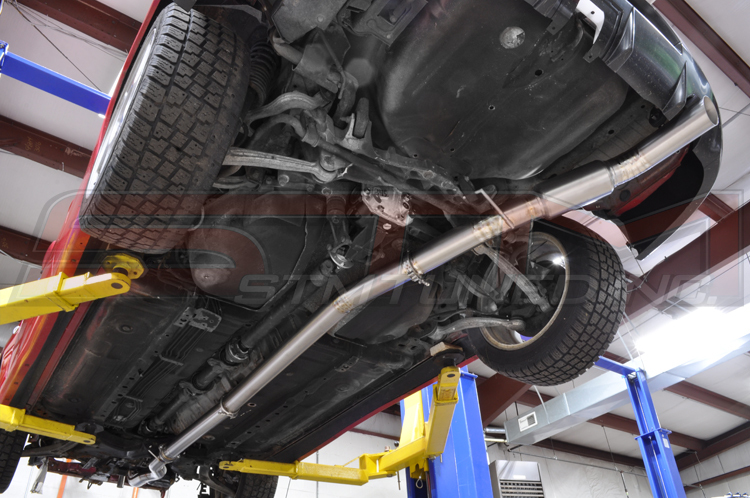 We include an extra 3.5" weld flange to match our downpipe. 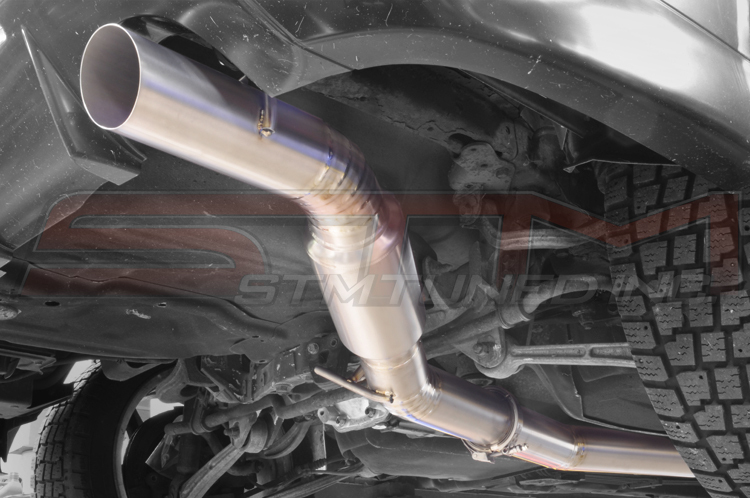 We would suggest having the back half of your exhaust custom built with 3.5" tube, but the option to weld this flange to your existing 3" is always there, however it is obviously recommended to buy the 3.5" STM Ti exhaust that is designed for the kit. If you have already purchased the 6870 kit and want to upgrade to the STM 3.5" Ti Exhaust - it is available separately.